Thoroughbred horses are sold throughout Australia at various public auctions and also via websites, bloodstock agents and arrangement between interested parties. 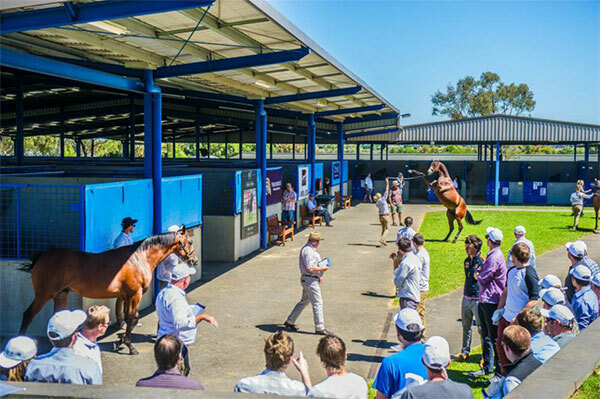 Australian horses are keenly sought by international buyers from all over the World and the Sales are attended by Asian, South African and other Internationals buyers and agents . Australian bred racehorses have been outstanding on the world stage and it is worth noting that some of the fastest horses to race outside of Australia in recent years were all Victorian Bred including Champions Black Caviar, Starspangledbanner and Sacred Kingdom. Inglis Victoria is also growing an impressive record as a source of outstanding stayers including Fawkner, Polanski and Pinker Pinker all of whom were purchased at the Melbourne Sales. This impressive list will be enhanced by Inglis’ Blue Riband Event which was introduced to the Melbourne Premier sale in 2013 as a means of showcasing horses bred to run over middle distance and beyond. It is no wonder that Victoria is considered the home of thoroughbred racing in Australia with excellent facilities, famous international events headed by the Melbourne Cup and proven Sales results. William Inglis & Son Ltd Bloodstock Agents and Auctioneers since 1867. Thoroughbred Auctions. Bloodstock Auctions. Private Horse Sales. Insurance Brokers. Leading bloodstock/thoroughbred auctions company, specialised in horse sales and equine services.